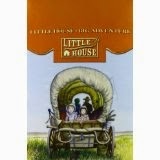 Some of you have been asking, so I thought I'd share an update on my companion guide to the Little House books. The manuscript is due May 1. That is soon! 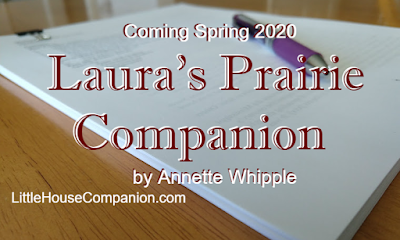 At this point it's tentatively called Laura's Prairie Companion. It'll be out spring 2020 with Chicago Review Press. 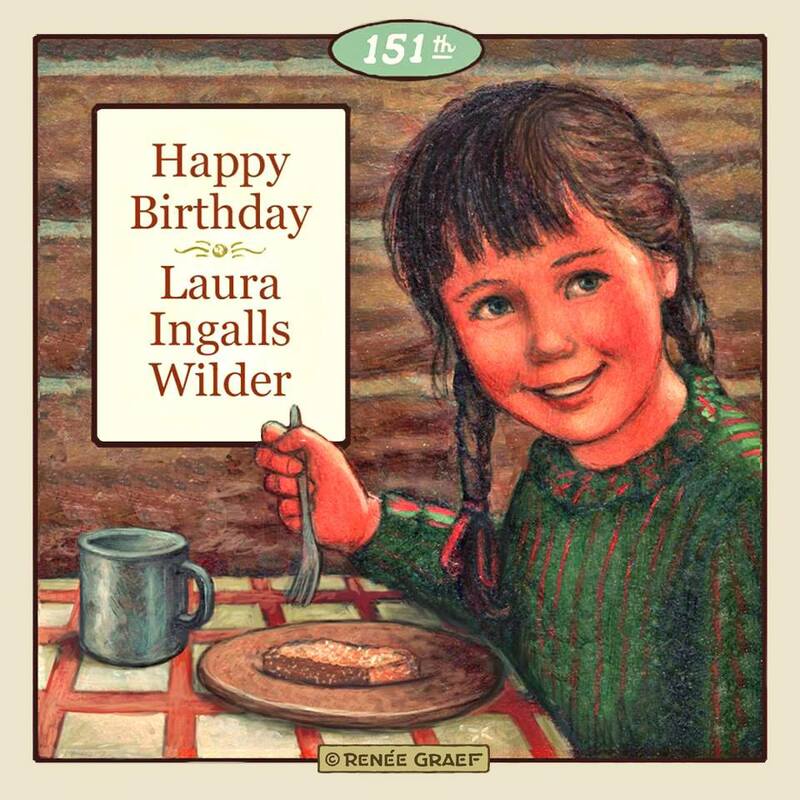 It's been 152 years since America's beloved Laura Ingalls Wilder was born. 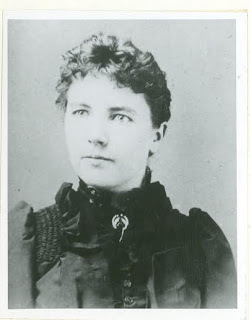 She was born on February 7, 1867 in Pepin, Wisconsin. 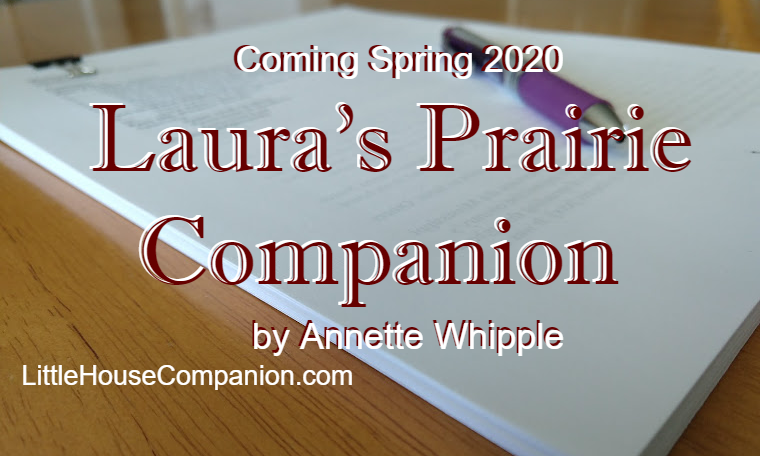 Laura's books engage readers with part of America's past. 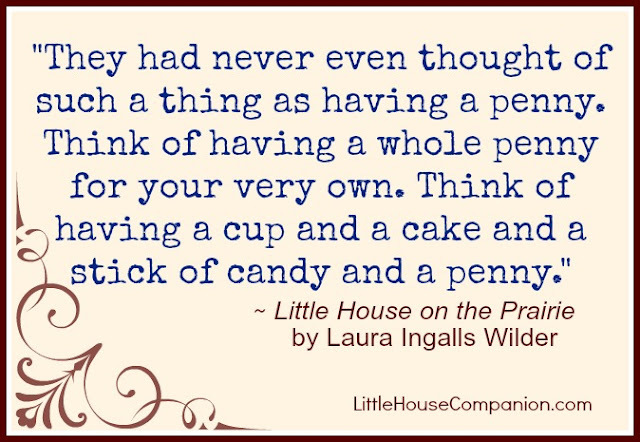 Children and adults alike appreciate the way she fictionalized her life to make readers love the Ingalls family-despite their flaws. 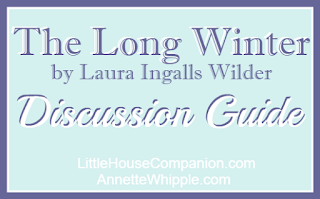 Read more about Laura Ingalls Wilder life here. Want to celebrate? 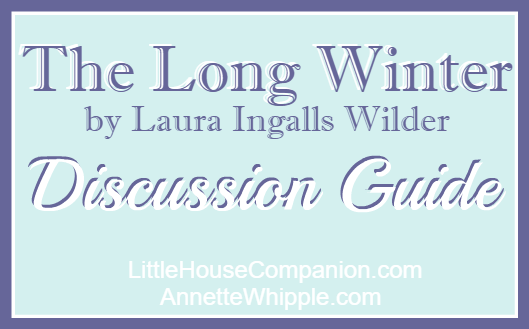 You'll want to read these posts about planning a Laura Ingalls Wilder celebration. Photo courtesy South Dakota State Historical Society. 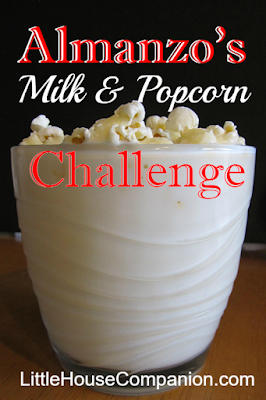 I suspect every kid (and grown-up) who has read Laura Ingalls Wilder's Farmer Boy wonders if you can really take a full cup of popcorn and put it into a full cup of milk without spilling a drop. Last week I popped some fresh popcorn for a snack. 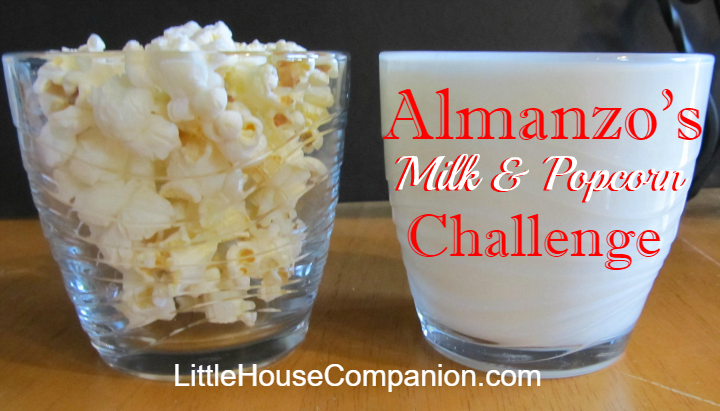 When my son grabbed a cup of milk to go with his popcorn, I remembered Almanzo's milk and popcorn challenge. First we filled a glass to the brim with milk. 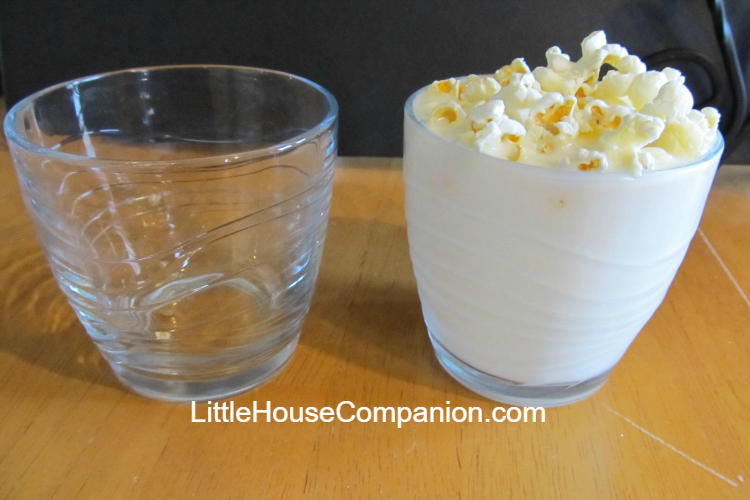 Then we filled an identical glass with popcorn. Then my son transferred the popcorn to the glass of milk. We actually pressed the popcorn down into the glass. Almanzo was right! Not a drop spilled! Not only that, but my son agrees with Almanzo: Popcorn and milk go great together! The creek was rising. Everyone knew Santa wouldn't be able to get to Laura and Mary for Christmas. Santa Claus asked Mr. Edwards to deliver gifts to the girls. Mr. Edwards carried his clothes on top of his head through that cold creek and arrived at their home shivering. In their stockings, Laura and Mary each found a tin cup, a stick of red and white peppermint candy, and a heart-shaped cake. "But Ma asked if they were sure the stockings were empty. They put their arms down inside them, to make sure. And in the very toe of each stocking was a shining bright, new penny!" "There never had been such a Christmas." The girls' excitement over the simple gifts found in Little House on the Prairie may be hard to comprehend in this day, but they were thankful for their simple Christmas treasures. 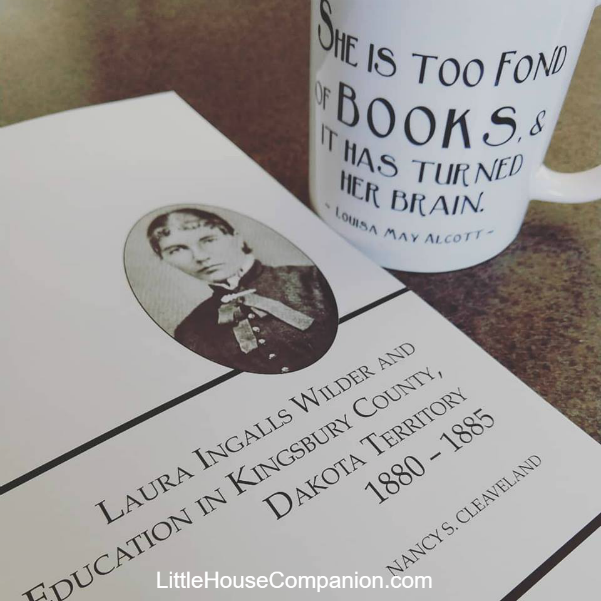 The Laura Ingalls Wilder Historic Home and Museum and the Missouri Humanities Council provide schools (and libraries) with a free Laura Ingalls Wilder panel exhibit. It's an incredible opportunity to remind people of all ages of the life and importance of Laura Ingalls Wilder. 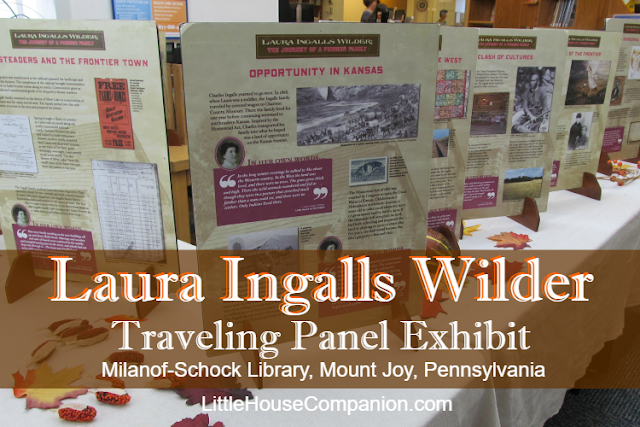 If you follow me on Facebook (at Little House Companion or my author page) then you might remember I shared about the Laura Ingalls Wilder traveling panels earlier in October. I was thrilled they would be fairly close to me in the Lancaster, Pennsylvania area. I finally took a morning to visit the Milanof-Schock Library in Mount Joy, PA. The exhibit was small, but full of information! 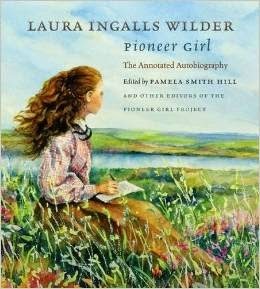 The display wove American history and Laura Ingall Wilder's life perfectly. As soon as Mother finished straining the milk, they all sat down and Father asked the blessing for breakfast. There was oatmeal with plenty of thick cream and maple sugar. There were fried potatoes, and the golden buckwheat cakes, as many as Almanzo wanted to eat, with sausages and gravy or with butter and maple syrup. There were preserves and jams and jellies and doughnuts. But best of all Almanzo liked the spicey apple pie, with its thick, rich juice and its crumbly crust. He ate two wedges of the pie. Apple pie for breakfast? Why not? It certainly has more fruit in it than most pastries and muffins. But it's a nice treat for dessert, too. 2. Place bottom pie crust in pie pan. Sprinkle half of the flour in the bottom pie crust. 4. Sprinkle the apple slices with the cinnamon. 5. Place dots of butter all around the sliced apples. 6. Top with second pie crust. Seal and flute edges, as desired. Cut slits into the top crust for ventilation. 7. Bake at 425° for 10 minutes. Lower temperature to 350°. Continue baking for 40-50 additional minutes. The pie is done when a knife slides into the apple filling easily. 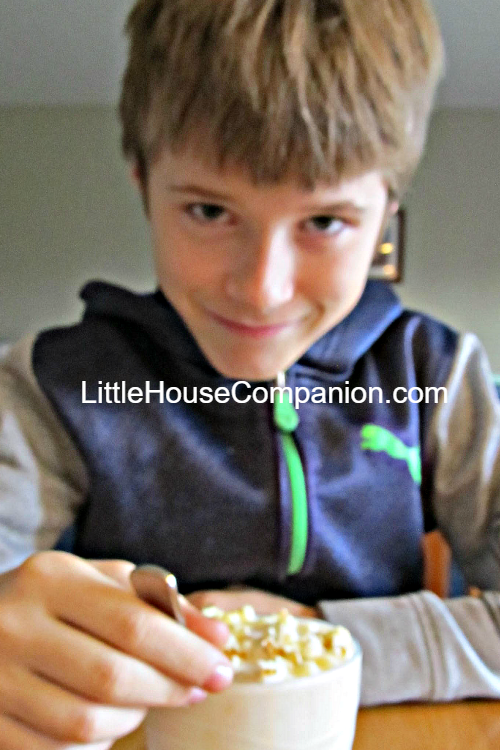 If you haven't found a good recipe for pie crust, try this pie crust recipe. 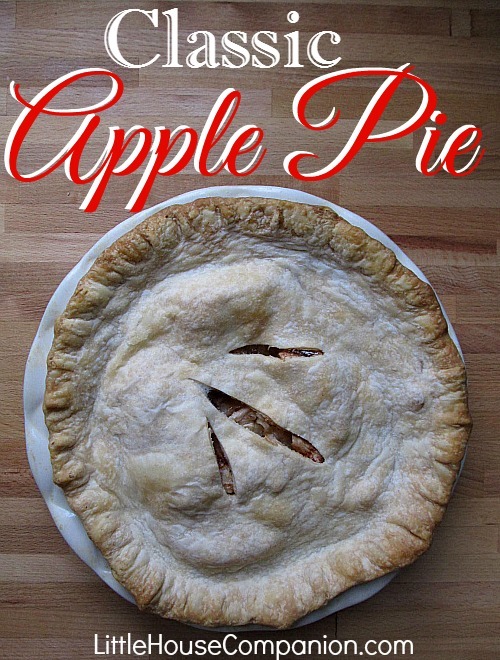 It explains how to make pie crust in detail. What's your favorite kind of pie? Do you eat it for breakfast or dessert? If you like this post, please consider signing up for my (infrequent) author newsletter.